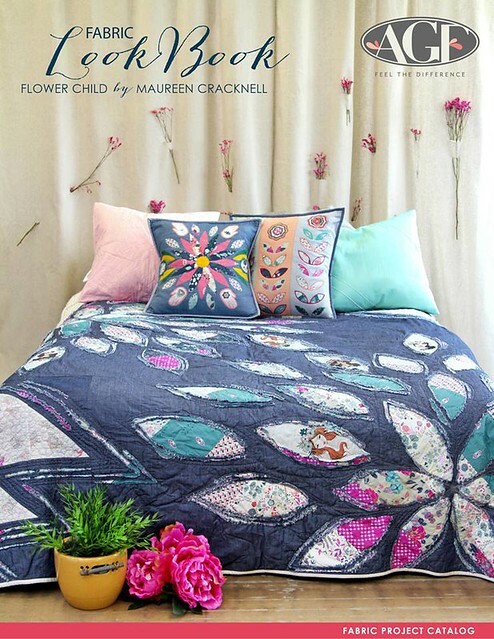 Maureen Cracknell Handmade: Utility-Style Quilts for Everyday Living Blog Tour & GIVEAWAY! 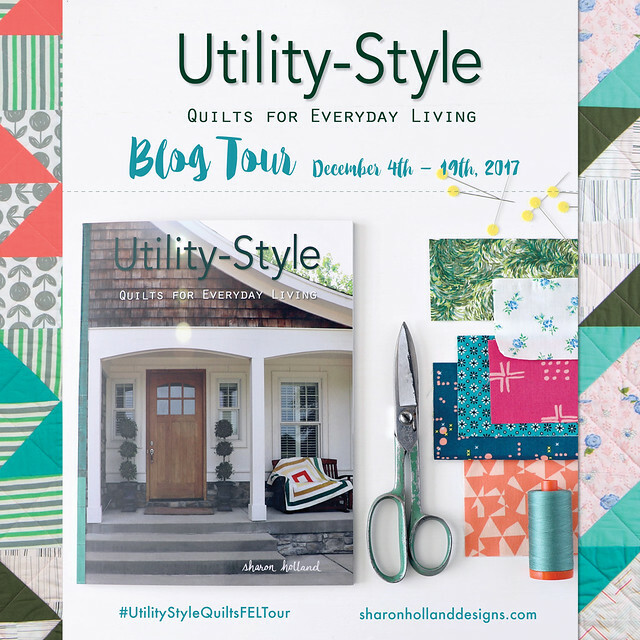 Utility-Style Quilts for Everyday Living Blog Tour & GIVEAWAY! When my dear friend, Sharon Holland invited me to join the blog tour for her first quilt book Utility-Style Quilts for Everyday Living (Landauer 2017) I was so excited, and today I have the pleasure of sharing a bit about this beautiful book with all of you! The friendship Sharon and I share is so special! I'm fairly certain we text each other at least once a day. Mostly to share our creative plans and to ask for or offer one another advice, which I've come to both treasure and depend on. Our friendship gave me quite the behind the scenes look at the process and work Sharon poured into Utility-Style. I learned just how talented Sharon is, she's incredible, truly. The end product is proof, Utility-Style is an amazing collection of quilts that are meant to be used and loved. 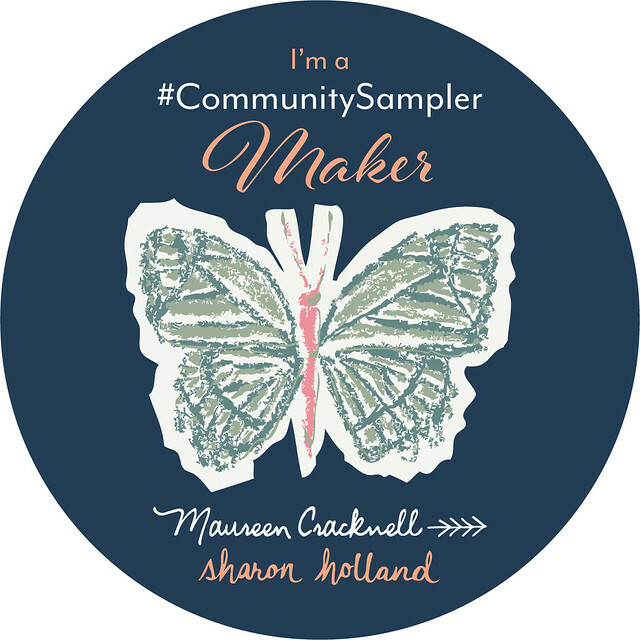 Sharon is just as conscious about how she envisions using each project, as she is to creating amazing quality patterns, furthering the quality of this book. She shares not just sewing patterns, but inspiration with beautiful photography of how to use each project throughout your home. To me, Utility-Style feels more like a lifestyle book and I love that! Before I share the pretty Flower Child quilt Sharon made using the Goose Chase pattern from Utility-Style, I chose two favorite images from the book to showcase just what I mean above about the way Sharon presents each project with stunning, creative photography. I find each page of her book enchanting, down to every last detail. What is particularly special is how this book shares such a sense of Sharon's warmth and personal handmade style, that's both inspiring and attainable for any quilter. One of the things I love most about the patterns that Sharon created for Utility-Style is that I'm reminded of the infinite possibilities of just one pattern. The quilt I'm showcasing today is the perfect testimony to how many ways one quilt pattern can be translated to something completely new by a change of prints and color. 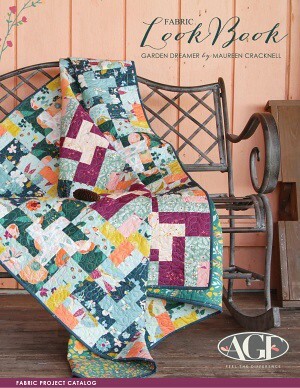 In her book the Goose Chase pattern is made using a combination of vintage and new fabrics to create a timeless quilt. For my Flower Child Quilt Market booth Sharon used several prints from the collection and this same pattern to create a quilt that became one of the star projects in my display. The large HSTs and placing of bright solids present so perfectly the colors and a few of my favorite prints in this next collection of mine, due out in April 2018. 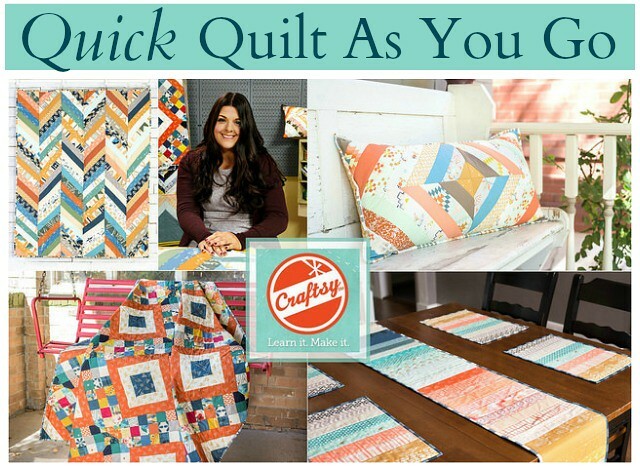 It was exciting to see how the Goose Chase pattern worked equally well for the vintage style of the original quilt and for my brand new collection that's more trendy and modern. Signed copies of Utility-Style Quilts for Everyday Living can be purchased by US residents directly from Sharon in her new STORE and you can also get the book through Amazon! Before I end with a special Utility-Style for Everyday Living GIVEAWAY, I want to share and invite you all to follow the rest of the tour for more project inspiration and chances to win this amazing book! And now, I'm so thrilled to be able to offer a copy of this book in a special GIVEAWAY to one of my readers! Just leave a comment below and you'll be entered into the drawing! This giveaway is only available to US residents due to shipping costs. (So sorry international readers -- you know we love you!) I'll choose a random winner on Friday, December 8th! A big thanks to all who stopped by and to those of you who entered my Giveaway! The lucky winner is commenter, Linda Williamson! Please check your email for a message from me! Thank you, Sharon. Thank you for creating such a beautiful book, for your endless inspiration and encouragement, for your continued friendship and for trusting me to share with while on your journey. 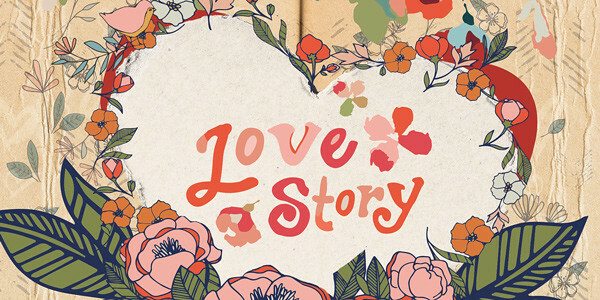 This looks like such a gorgeous book, thanks for the preview and the chance to win! Beautiful book. Thank you for the giveaway! As much as I love holiday-themed quilts, it is the everyday designs and patterns that I love the most! I know this book would fulfill the need I have to find great inspiration! Thank you! Looks like a wonderful book with all those gorgeous projects! What a great looking book! Thank you! I just completed my first quilt and this book would be perfect to inspire me to start my next project. 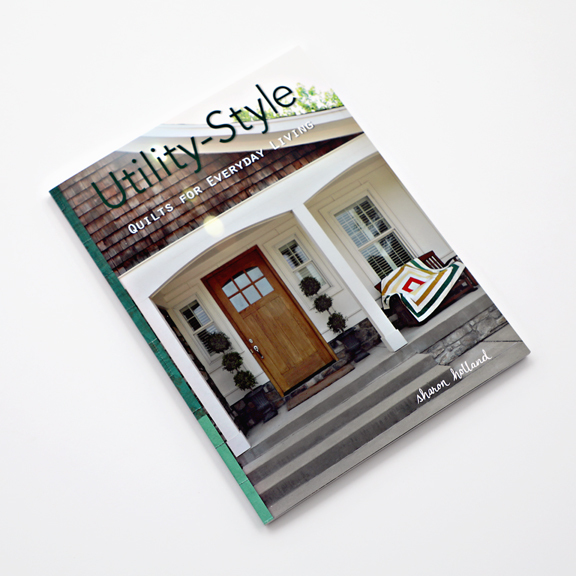 Excited to have a chance to win the Utility-Style quilting book!! Gorgeous quilt!! I’m sure this book is as amazing as is Sharon!! Thank you! Looks like a great book. I've been quilting for years and need new inspiration. This is such a useful and practical book! Love the quilt! I need this book!! This book is one ant quilter can find something inspirational to make. The projects look cuddle worthy. This looks like a great book to have on my shelf. This book looks interesting, would love to have it in my collection of inspiration!! What a beautiful book! I love the way she displays the quilts. Thanks for a great giveaway opportunity! Audkateaster at gmail dot com. All the projects look like ones I would create! LOVE IT! Love the classic blocks that can go so many different directions depending on fabrics used and I really love that wavy quilting, I will try that on my next quilt!! 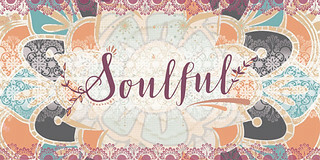 This is a quilting book I would love to have and use! My style of quilts, big pieces and simple sewing! 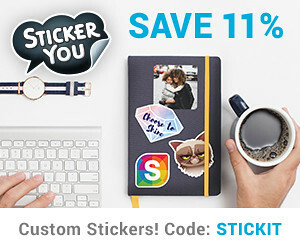 NEAT GIVEAWAY! THANKS FOR SHARING! I love patterns that aren't too complicated because I want people to use the quilts I give them and not just tuck them away. This looks like a great book of doable patterns. These are great quilts! I’d love to have this book. I love having a quilt book to read and refer to when making a quilt project. The quilts that are show cased look lovely and would be fun to make. I enjoyed reading about your friendship with Sharon Holland. Thanks for a chance to win this inspiring and beautiful book. I must confess that I have been reading your comments for years, and have loved every minute!! Clicking needles has been my salvation, but to make a couple of quilts has been on my bucket list. I have loved quilts since I was a little girl, and saw the quilts my Grandmother hand made for her family as a way of survival for her family, during the depression!! This book would be the firecracker I need to get the ball rolling!! Thank you for such a great giveaway, and have a wonderful Christmas, and a very Happy New Year!! There are some great patterns in this book. Even if I do not win I’d like to buy it. These projects are perfect for me! Thank you for a chance to win. Looks like a book I would love. I always say that I much prefer to make utility quilts: I want my quilts to be used and loved to death. I would love to have this book. There are some great quilts in there. I like the big geese blocks...makes for a quick project. I would love this book! 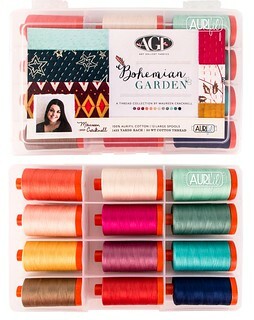 I want to use my beautiful fabrics in a way that won't take forever to make a quilt! Looks like a nice book. Good way to use up some of my stash. Wow - sounds like a wonderful book. If I don't win this book I'm going to order it! Thanks for the opportunity to enter! I'd love to own this book. Thanks for the chance. 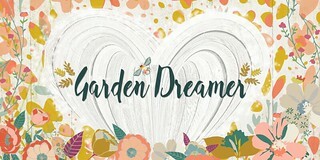 Love good scrap busting inspiration! You and Sharon are two of my favorite designers. I love the colors you use and have enjoyed using your patterns. The projects above are wonderful. This looks like a book I would enjoy! Thank you for the opportunity to win. 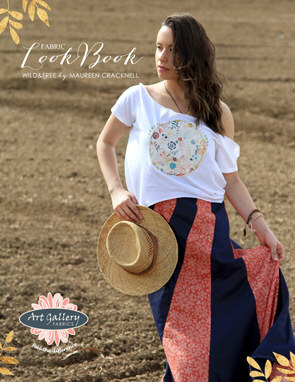 Love your flower Child fabric in the quilt. I would love to win a copy of the book, it looks beautiful and useful! Beautiful projects in this book - thank you for the review! Love the quilts! The book looks great! What an amazing book. I'd love to win a copy! I love quilt books! And I love this quilt, too! Thanks for the giveaway. Would love to win this, but will be buying it if not. 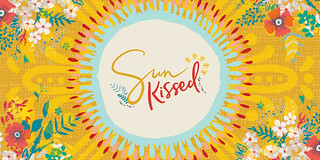 I'm dying to get this book and would LOVE to win!! I would love this book! Thank you for the opportunity to win it! I would love to win. Love her work! This looks like a great book. Thanks for the chance to win! Looks like a nice book. Thanks for sharing! This definitely needs to be in my library! What a great concept. Thanks for the opportunity! Beautiful quilt! Can’t wait to see what all the bloggers create. Would love to win the book! Thank you for the chance to win. Great book review! 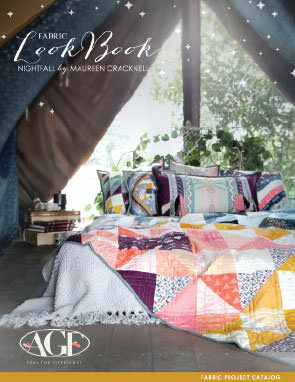 Gorgeous quilt, the book looks lovely! I really really want to win this book!! Very exciting, have books but none so informational. Really could use the information to set up my house!!! I think all the quilts I make are utility quilts, so I would enjoy this book I'm sure. Thanks. 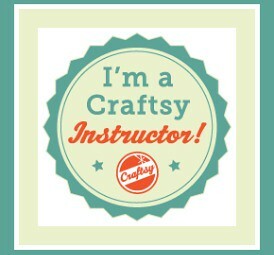 I definitely make utility quilts! The book sounds exciting! I like utility quilts--quilts that one isn't afraid of using. Plus, utility quilts tend to be on the easier side--good for beginner level quilters like me. Maureen, I cannot wait for Flower Child to release. I love the prints already and so astonishingly beautiful paired with the bright solids. Wow it is gorgeous in Goose Chase! I’m so in love with that quilt too! Thank you for sharing in Sharon’s joy and it’s so cool to have you two collaborating, always. 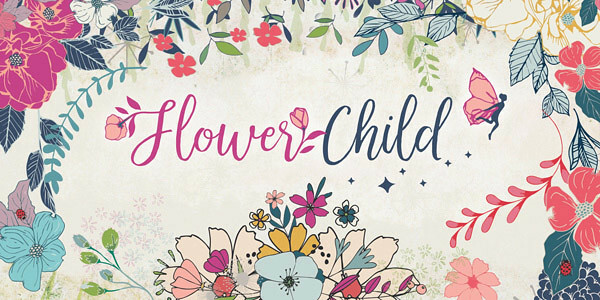 Looking forward to seeing Flower Child in the quilt stores. 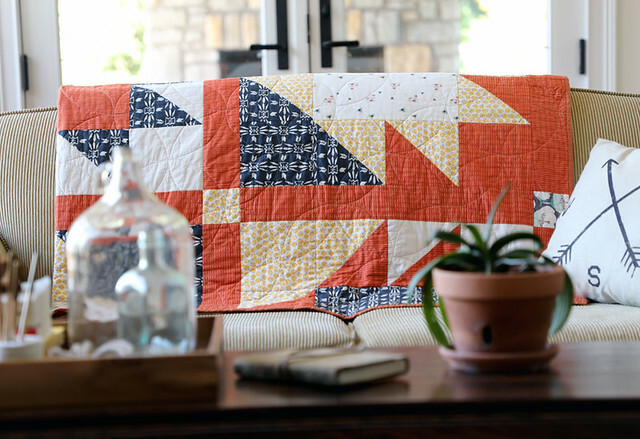 Love the Goose Chase quilt. These types of quilts are just my style. Great for charity sewing. I want this so much!!! Thanks for the giveaway. 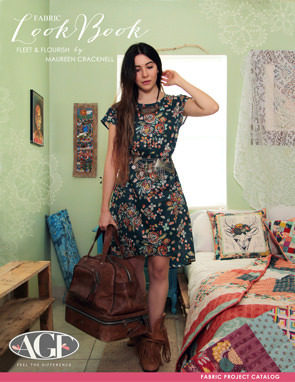 Goose Chase is beautiful in your Flower Child fabric. And Sharon has a winner on her hands. It's got great designs. Thank you for considering me in this giveaway! I absolutely love, Flower Child fabric...gorgeous!! The projects I'm seeing from this book are all so lovely! 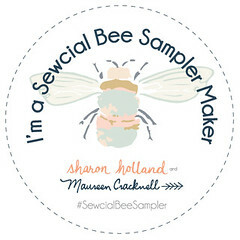 I would love to win a copy- I could see myself making many projects from this one! The Goose Chase pattern showcases your line beautifully. I want both the book and your fabrics (maybe Santa will bring one item this month and fabric later). Thanks for the chance to win. Merry Christmas! 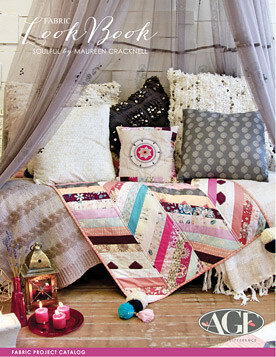 Absolutely gorgeous quilt and gorgeous fabrics. I love how you shared about your friendship with Sharon. so very special. 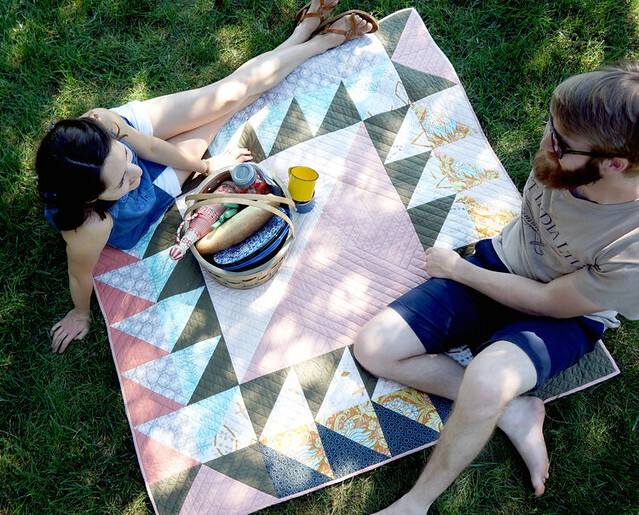 I love the Goose Chase quilt with your fabrics. It is so pretty. This book looks very interesting. You are a good friend to give us a preview of Sharon's book. I admire your work. Thanks for a chance to win this lovely book! Merry Christmas to you and yours! I love the simpler quilts. I feel they can showcase the fabric better. What a fabulous book!! I love quilts that are meant to be warm hugs and used daily! Thank you for the fabulous giveaway! The book looks great! And that quilt in your fabrics is perfect! I would love to win this! This book looks super inspiring! The version of the quilt with your new fabrics is beautiful. The book looks like one that I will want to own. These are wonderful quilts! And your glowing review definitely adds to the respect I have for Sharon! I am so excited for this book! Thanks for the giveaway!! What a lovely book and special friendship! Ohhh! Love, love, love this!Thanks! Looks beautiful. 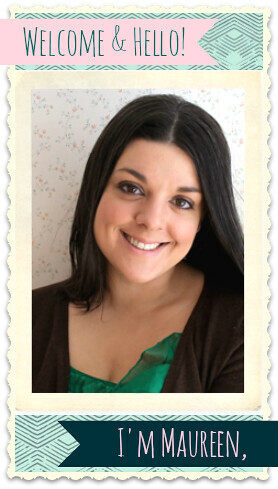 I hope the book reaches a whole new audience and inspires new quilters in the process. Looks like a fantastic book. Thanks for sharing it with us. New to quilting, but a true fabric junkie. 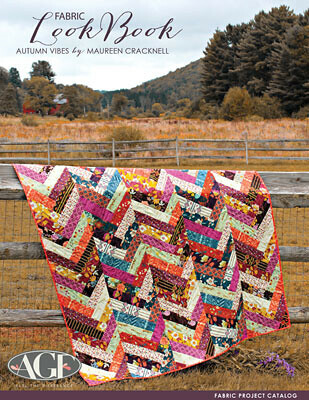 Love textiles and seeing how people utilize them in quilts.this book sounds so interesting, the photos are gorgeous. Love the style of this book. All of the projects are beautiful. I love the look of that quilt. Thanks for offering a giveaway. Unless I am specifically making an art quilt, my quilts tend to be utility quilts. I would love this book. Wow-this looks like a great book! Utility quilts is a great concept--I make quilts to be used too--so I love it! I love everything I've seen from this book! 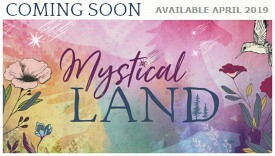 I would love this book. . .it looks beautiful! I'm off to the hop and also to the links you provided to learn more about this book. Great quilts!! Looks like a lot of hard work went into this book. I would love to win this. Absolutely beautiful and practical. So impressed with all I've seen about this book! Be still my heart! Just gorgeous. Beautiful quilts. I particularly love the way the Goose Chase pattern fits together. I think most quilts I make fall into my definition of utility quilts: meant to be used and snuggled under. Not for show. I love the premise of this book! I have a tendency to make quilts and not use them. I've had my eye on this book since Sharon began sharing information about it. 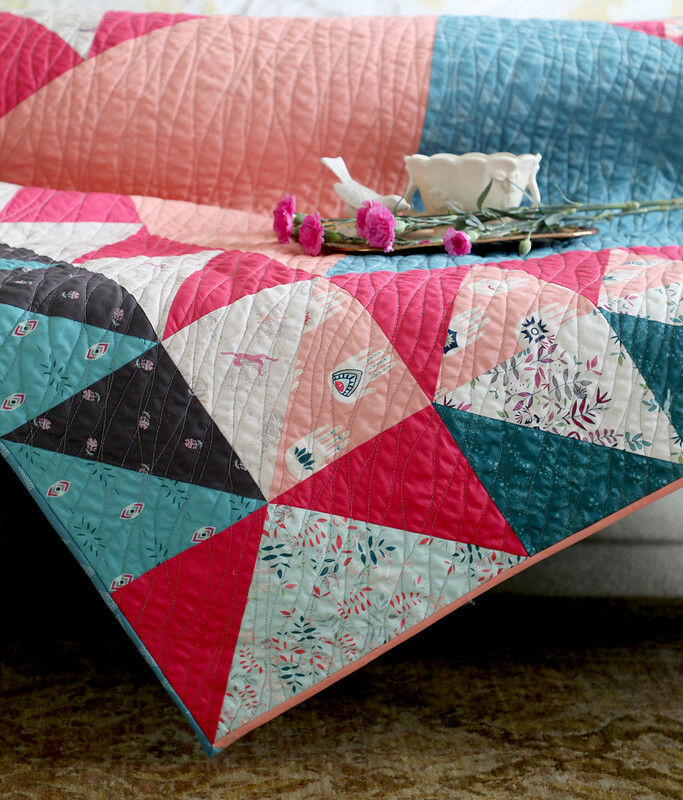 The Goose Chase quilt looks so beautiful with your fabrics! There is some great eye candy in this book! The quilt on the cover reminds me of a Hudson Bay blanket - must be the colors. The book is a keeper! Definitely cute quilts. Love it. Thanks for sharing. Wow. Less really is more. Love it. 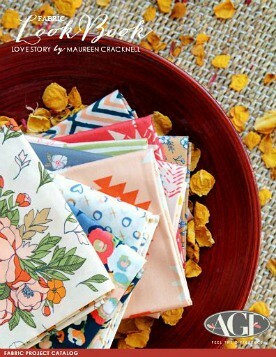 Love the goose chase pattern in your fabric, patterns in this book are just my style. Thanks! 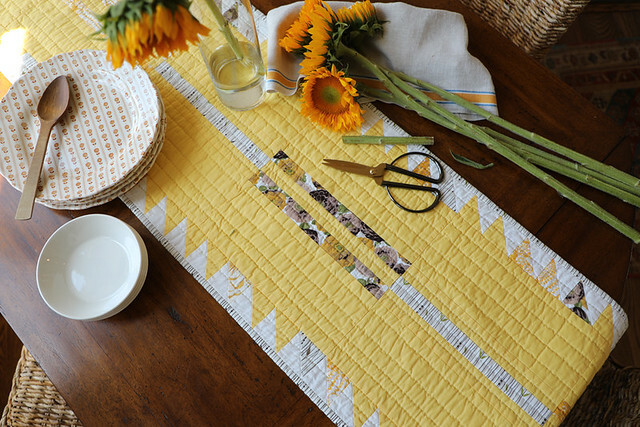 I'm in love with the yellow table runner!! Love it! I'm new to quilting but I'm super excited about this book! Congratulations!! This looks like a great book to own! This looks like one great book. Hope to win it. Looks like a great book. I love quilts that are made to be used. Looks like a very useful book. this book looks so perfect!!!! i love the photos so far!!! شركة كشف تسربات المياه بالرياض لحل تلك المشكلة. Sharon's book looks gorgeous!!! I love the peeks!!! 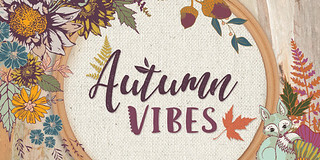 I just found the blog hop yesterday evening and am trying to stop at as many places as possible because this book appears to be offering quilts that I would love to make! The one you chose today to share is fabulous. I am anxious to get started. Thank you for sharing and have a wonderful great day! Beautiful! Thanks for the giveaway. It looks like this is a great book. Thanks for the giveaway. 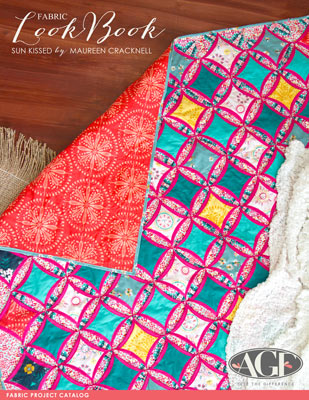 This book meets a need for creating quilts that can be used and loved. Would love to own it. This book looks fabulous! Definitely on my wish list. Beautiful book, would have to make all the quilts. Need to add this book to my wish list. Great quilts. Very effective. Like this book! Would love to win a copy. Sounds wonderful. I'm going to keep my eye out for it. Here's hoping my comment made it in before the drawing!! It looks like an awesome book to have in my quilt library. Looks like a great book. Thanks for the chance to win a copy. Enjoying the hop and seeing all the beautiful things made. This really looks like a great book. And the quilt you made is so pretty. Sings to me. Thanks for the chance. This book looks like the inspiration I need to simplify my approach to my quilting and make useful beautiful quilts. Maybe everybody in Dammam knows this very well, but you have to explain why we do not know that thanks to God, we are the best suction company because we use very large suction vehicles and vehicles. 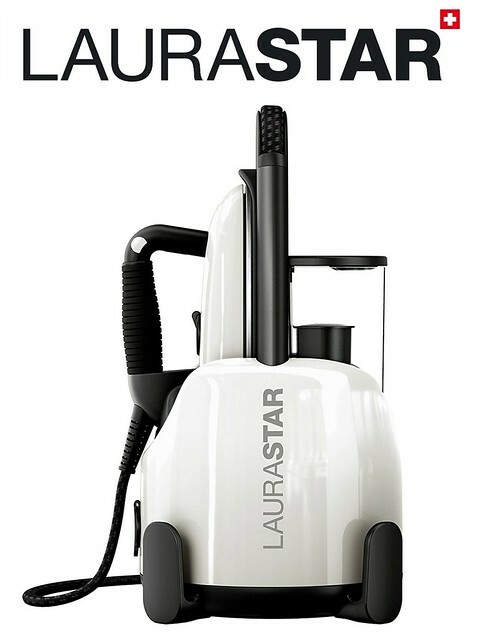 You can use tens of tons of sewage, and the suction process does not take long. High efficiency So if you want to suction your ducts contact us and one of our staff will talk to you and we will send you the necessary suction trucks or crews specialized in the repair and maintenance of sewage. » ضهوة من أعرق وأقوى الشركات على الإطلاق بالمنطقة الشرقية لأنها تتميز بالإمكانيات الجبارة والهائلة والمعدات والأجهزة المتطورة والحديثة وعمالة متخصصة ومُدربة على أفضل وجه, كفاءة وخبرة وإتقان وسرعة ما أهم ما يُميز شركة ضهوة بالإضافة إلى اسعار مناسبة للجميع. # جميع خدمات التنظيف لدينا مع التجفيف والتعقيم والتطهير.